Stockholm (AFP) - Former US National Security Agency contractor Edward Snowden on Monday downplayed the importance of President-elect Donald Trump and again defended his decision to leak documents showing massive surveillance of US citizens' communications. "Donald Trump is just the president. It's an important position. But it's one of many," Snowden told an internet conference in Stockholm, speaking via a video link from Russia, where he has been living as a fugitive. The 33-year-old is wanted in the United States to face trial on charges brought under the tough Espionage Act after he leaked thousands of classified documents in 2013 revealing the vast US surveillance of private data put in place after the September 11, 2001 attacks. He said he was not worried about the Trump administration stepping up efforts to arrest him and stood by his decision to leak the classified material. "I don't care," he said. "The reality here is that yes, Donald Trump has appointed a new director of the Central Intelligence Agency who uses me as a specific example to say that, look, dissidents should be put to death. "But if I get hit by a bus, or a drone, or dropped off an airplane tomorrow, you know what? It doesn't actually matter that much to me, because I believe in the decisions that I've already made." 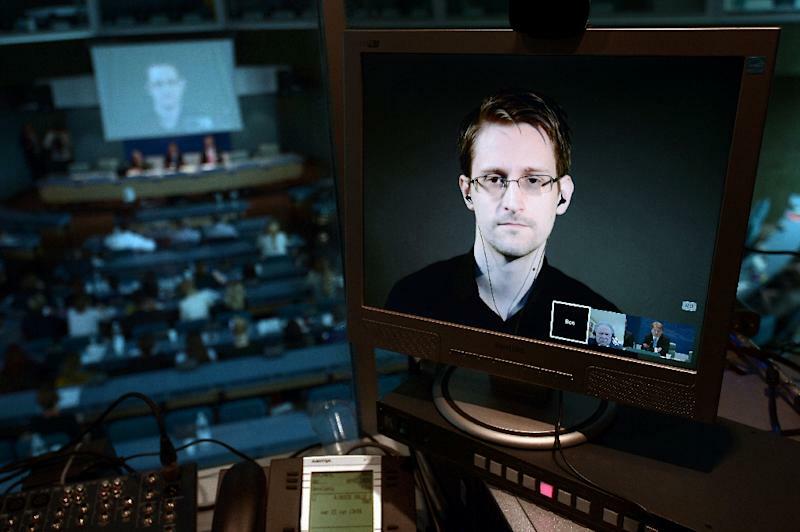 Snowden also urged his audience not to become discouraged by the result of the US presidential election and to continue to call for governments as well as businesses to respect people's private lives. "Just as oil companies are starting to face criticism, protests and divestment of investors as a result of the impact of their industry on global climate, we should have the same understanding of the consequences of these companies' operations on our digital climate," he said.